“This is Sysiphos. 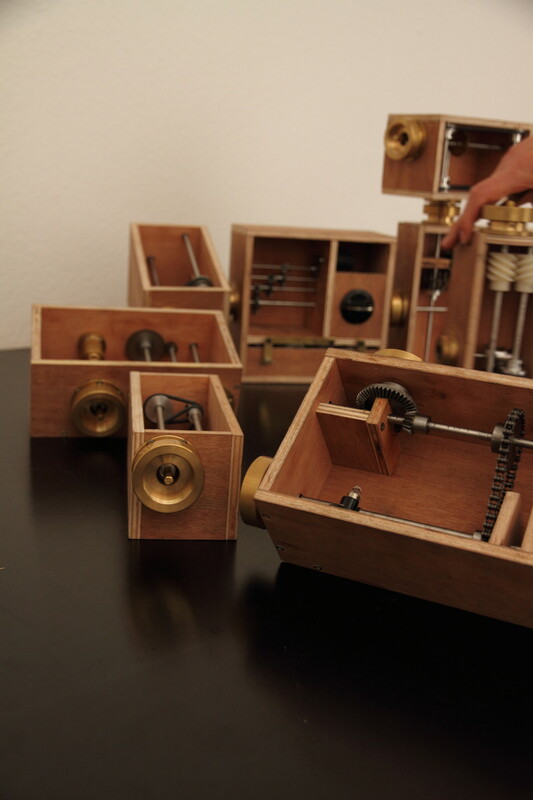 It is a modular kinetic object. It offers endless combinations and applications only limited by the number of modules you own. Surrender to the irresistible attraction of various gear ratio transmissions. Sisyphos is a protagonist in the antique Greek mythology. He has been doomed for eternity and is ought to recommence his work again and again and again. The documentary “the story of stuff”, explains that each product passes a global process from extraction, to production to distribution to consumption and to disposal. Our community steps in, in the steps consumption and disposal. Consumption keeps the system running. Media will never imply that you can be happy with your property and fashion. This circle of consumption reminds me on Sisyphos. We are embedded in a system, which is never ending. We work to spend money, to work to spend money again and again and again. Products can reflect the endlessness of the consumption circle and the endlessness of Sisyphus’ punishment. This story of consumption and Sisyphus can be translated into a product. Perceived obsolescence is the key. – A series of products, which can be joined and combined in various ways. There is no end of the production line. -The product has to be attractive. People can’t leave their eyes and hands of it. -It does not need to be functional. 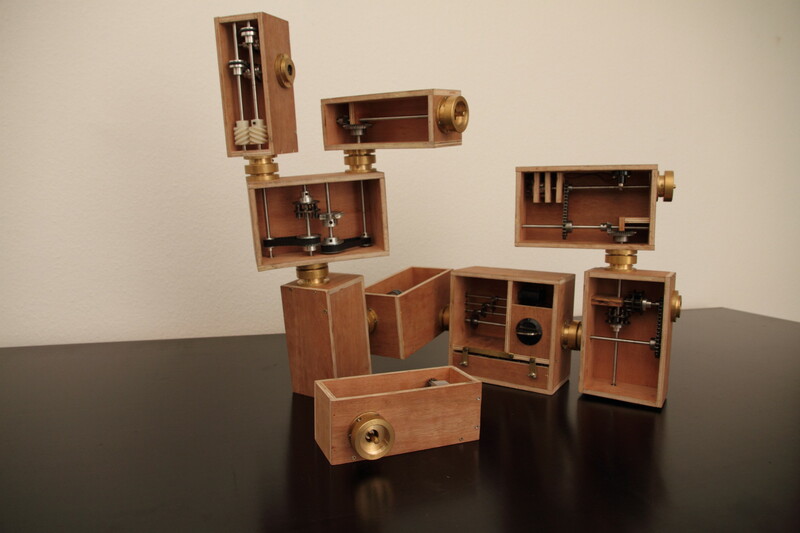 I want to create a modular kinetic object. Each module can be connected to another module. You can always connect new modules to old ones. I create a central module that provides the rotation and momentum in order to drive the other modules. 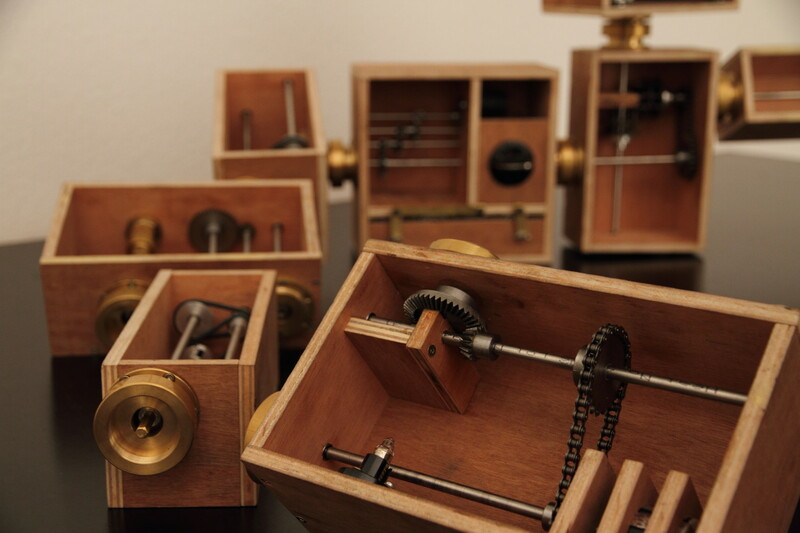 I want to create mechanisms and gear ratio transmissions, which have a similar attraction to people like clockwork mechanisms. There will always be a free clutch to attach another module. So you can go on collecting them.